Victron MultiPlus 5KVA Hybrid Inverter, available in 24/48V. 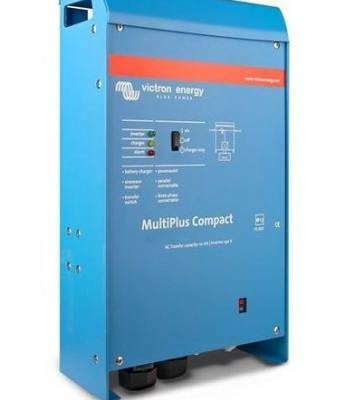 The Victron MultiPlus 5000 is a powerful true sine wave inverter, a sophisticated battery charger that features adaptive charge technology and a high-speed AC transfer switch in a single compact enclosure. Models range from 800VA to 5000VA per module. The Victron MultiPlus 5000 will prevent overload of a limited AC source. First, battery charging will automatically be reduced when otherwise an overload would occur. The second level will boost the output of a generator or shore side supply with power taken from the battery.